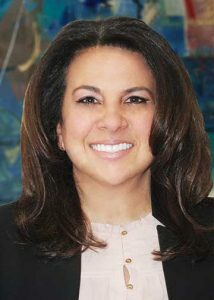 Nina Polando-Vozikis joins Insurance Subrogation Group, LLC (ISG) as the Vice President of Client Engagement and Business Development. With over 19 years’ experience in the insurance investigations industry, Nina has a wealth of knowledge in customer service, client satisfaction, building strategic partnerships and promoting brand awareness. Nina’s decision to transition into the field of subrogation and recovery was an easy one, based on its significant financial impact to the industry. Prior to joining ISG, Nina was a Vice President for a global investigations firm, where she started her career as a field operative. She later decided it was time to move out of the covert world and transitioned into sales and customer service for New England. Nina was promoted to regional, then national sales manager, overseeing territory account representatives throughout the country. Nina worked closely with several clients their account program manager and was able to build long lasting relationships with many claims professionals throughout the country. Ms. Polando-Vozikis holds a Bachelor of Arts (B.A) Sociology and Applied Social Relations.